Adventure thermal baths and health spas in SalzburgerLand. 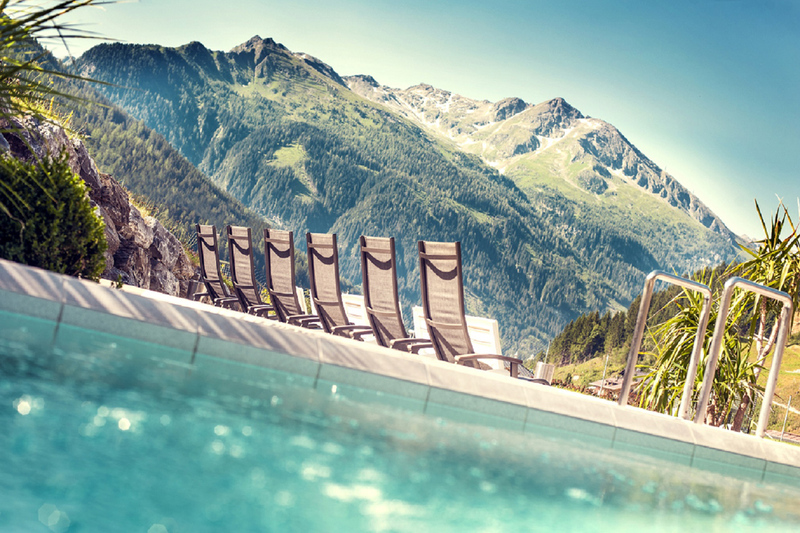 Thermal spa holidays in SalzburgerLand mean oases of wellness and relaxation aside from the hustle and bustle. 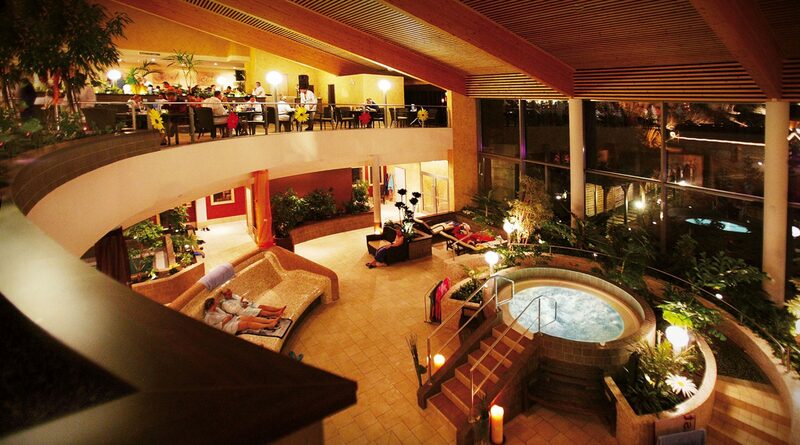 Instead of large thermal spas, here you’ll find subtle leisure facilities which offer any comfort you may wish for. Families, guests seeking special treatments, or simply needing a little relaxation: the thermal spas in SalzburgerLand have the suitable offer for everyone. A total of six thermal spas & waterparks are there for you to choose the right one for your needs, desires and preferences! The swimming & sauna worlds at the Therme Amadé Spa consist of eleven pools, five thematic saunas and two solariums. A wave pool with underwater massage jets, relaxation pool with various concentrations of brine and a sports pool with diving boards provide just the right thing for any thermal spa visitor. Swimming courses for small children, swimming for pregnant women or technique courses are also offered on a regular basis. Equipped with the suitable fins, or better said the suitable fin, you’ll learn the right technique as to how you can elegantly glide through the water like a mermaid in this workshop. The fun factor is inevitable at any rate. The only prerequisite is good swimming ability – but that is certainly a matter of course for would-be mermaids. You’ll find the respective dates on the Therme Amadé Spa website. Entirely in accordance with Finnish tradition, the sauna world is also open to children of any age. A sauna festival with alternating themes and original infusion ideas is held on every second weekend in the month as a special highlight. The steam grotto and the Turkish steam bath also invite visitors to relax. And anyone who feels a desire for thrills after so much relaxation can embark on a downhill slide through the “Black Mamba” tunnel slide; the “Python” funnel slide or the “Anaconda” with single looping, rocket start and eight-metre freefall. Located only a few kilometres from Salzburg, the thermal spa Aqua Salza is a little wellness paradise for any requirement! While the very smallest kids splash about cheerfully in the 35° warm baby pool, good swimmers swim their laps alongside. The associated swimming school is open to everyone, and features a swimming school for children as well as a technique course. The action on the large tunnel slide is particularly boisterous; that means you have to stand in line, but the fun is worth it! Extra tip for little “water rats”: children can celebrate a birthday together with their friends at the Aqua Salza. The birthday child is the centre of attention during the fun, games and varied programme in the water world. The Aqua Salza team will organise the party for you! In the meantime, parents can treat themselves to a short break in the wellness & beauty area and in the sauna area. For instance, guests can choose from the classic infusion sauna with varying fragrances, but also saunas with resounding names such as “mental sauna” and “rain stone sauna”. Massages, Ayurveda treatments or peels ensure even more well-being. It’s good to know that all of the wellness treatments at Aqua Salza can also be booked without the daily admission charge. The thermal spa offers a parking area for caravans and mobile homes, only a few metres away from the thermal spa in Golling. 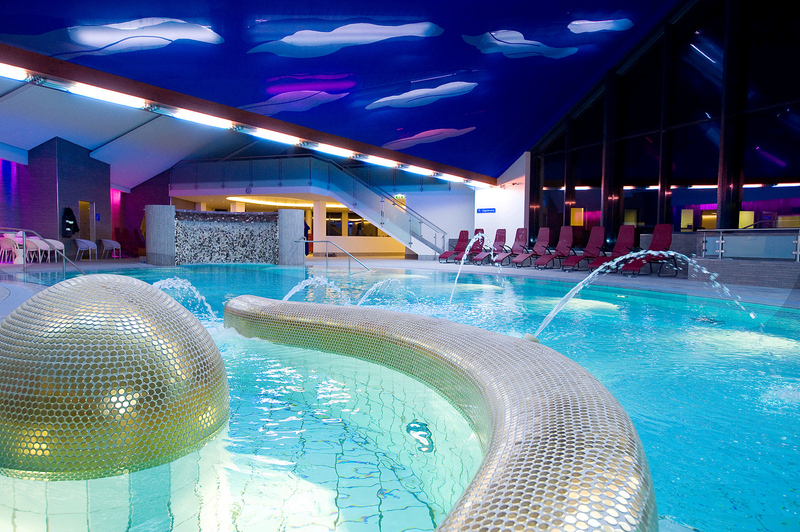 A site can easily be booked at the thermal spa ticket office at a price of € 9.90. The site is equipped with all necessary infrastructure for campers such as power and water supply as well as waste and sewage disposal. If a thermal spa can be described as a “base camp for body and soul”, that actually says everything! Alone the superb view of the surrounding mountain world – first and foremost the snow-covered summit of Kitzsteinhorn mountain – makes the heart leap for joy and everyday life fade into the distance. You can best enjoy the panoramic view from the completely glassed skyline pool on the top floor. The pool’s water surface merges seamlessly into the blue sky here, so you are virtually swimming towards the mountains. The skyline pool with two panorama saunas, a steam bath, relaxation zones and a lounge with open fireplace is part of the extraordinary Hotel Panorama SPA. The Tauern Spa Kaprun sauna world promises the perfect temperature for all preferences. The “baking oven sauna” is a special attraction. Yes, you read it correctly. Fresh bread rolls – which are then also consumed after the sauna session – are actually baked here! The textile sauna area, in which bathing wear is expressly welcome, is also unique. An extensive beauty area with 17 rooms for soothing massages, body wraps and soothing baths is also part of the hotel amenities. Beauty tip: separate offers are geared specifically towards men! And extra massages and facial treatments are also offered for kids up to age 14. So complete rest and relaxation is ensured for adults seeking relaxation! Kidstein, the spa area just for kids, is also ideal. Plenty of excitement is guaranteed in the indoor & outdoor pool area, which features a play area with stream, floor bubbles, rain showers and adventure grotto as well as the tube slide with a snaking loop. Those who have been in the water long enough can go to the playground, scramble around on the climbing frame or make themselves comfortable in the “bear’s cave”. 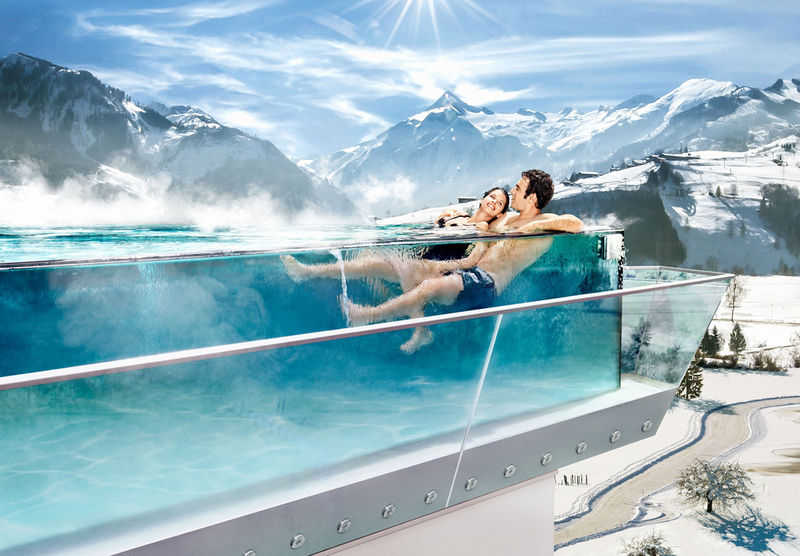 The extraordinary thermal spa known as Felsentherme is located in Bad Gastein. A combination of rocks, thermal water and innovative architecture makes this thermal spa very special! Even Paracelsus knew about the healing power of the hot springs in Bad Gastein. Anyone who is seeking relaxation at Felsentherme in Bad Gastein today primarily enjoys the comforting warmth of the water. It vitalises the cells and harmonises bodily functions. Tired muscles relax and blood circulation is improved. A visit to Felsentherme is almost perfectly suitable for ending a summer day in the mountains or a day of skiing on the slopes. By means of a separate “panorama crossing”, you can very conveniently reach the thermal spa directly from the Bad Gastein railway station as well as from the Stubnerkogel gondola cable car and from the parking area. The bubbling thermal water revives tired legs. The day’s efforts are quickly forgotten while you enjoy the jet stream channel, adventure slide and rock grotto with waterfall. The highlight of Felsentherme is the Panorama Wellness Area – take a sauna in the middle of the mountain world in Bad Gastein. Gastein valley guests can sweat in the tunnel sauna or the “Knappen” sauna. The latter is a stone pine sauna, in which the ceiling and walls are lined with stone pine and develop the soothing effect of the fragrance through the heat. Also unique is the nudist terrace at 1,100 metres above sea level with two cold & warm water “summit pools”. And after the swimming pleasure, there is nothing finer than taking a break from everyday life in the unique relaxation area, surrounded by natural rock walls. 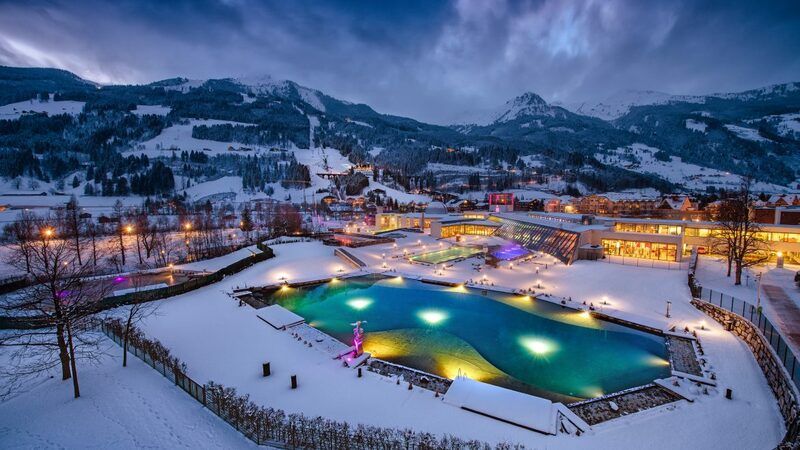 The alpine thermal spa Alpentherme Bad Hofgastein is blissfully embedded in the middle of the mountains, and offers its guests a 360-degree alpine panorama. You can see that the establishment is very close to nature by virtue of the harmonious architecture, which primarily relies on the elements natural stone and wood. Whether it is the Sauna, Family or Ladies World, here everyone will find their personal programme for wellness or fun. While the kids compete for top speed in the Speed Slide and bravely plunge down the Black Hole Rafting Slide, parents can drift in the Lazy River jet stream channel. And yes, just like at the Adventure Therme Amadé Spa in Altenmarkt, little mermaids can also be trained to be perfect mermaids here at Alpentherme Bad Hofgastein. The Sauna World is more precisely a sauna village made of wood, stone and glass that is located in the middle of the spa park. To cool off after a sauna session, you do not go under a shower. No, you plunge into a specifically built mountain lake. The core of the Sauna World is the Cascadia Sauna, which spans an area of more than 600 square metres and covers two floors. It particularly impresses through its breathtaking ambience. Whether steam bath, sauna or infrared cabin, women are among themselves in Ladies World. They enjoy the refuge to re-energise for everyday life. In the health and sports areas, the offers are geared towards topics such as weight reduction, improvement in performance, lifestyle change or sports medicine support. The bright thermal spa landscape only 17 km from Salzburg convinces with exclusive design and spacious relaxation areas. The water that supplies the thermal spa originates from a depth of 1,345 metres. The water contains valuable minerals, which are particularly beneficial for complaints in the musculoskeletal system and with rheumatism. Bad Vigaun is therefore primarily regarded as a “Heiltherme” (curative thermal spa). The spa is of course also open to other guests who would like to relax and do something good for their health. Two indoor pools and one outdoor pool provide pure relaxation in warm, bubbling thermal water. Guests who enjoy the heat can go into the sauna area which features a classic Finnish sauna as well as an aroma steam bath and saline steam bath. The rock sauna in the outdoor area is a special feature. After cooling off in the cold water pool, the surrounding sauna garden invites guests to slow down and wander around. A large sunbathing lawn with comfortable sunbeds is available for guests to unwind in the summer. If the temperature drops, the panorama relaxation room also offers a wonderful view of the mountain world in the Tennengau region. And whoever really wants to be liberated and unwind can settle down on one of the waterbeds in the “Dark Room”. Extra tip: After a relaxing visit to the thermal spa, you can enjoy delicious pastries from the in-house pastry shop at Café Therme. Incidentally: Heiltherme Bad Vigaun is part of the Bad Vigaun Medical Centre, which features a private clinic, thermal cure and rehabilitation facilities as well as a four-star health hotel.